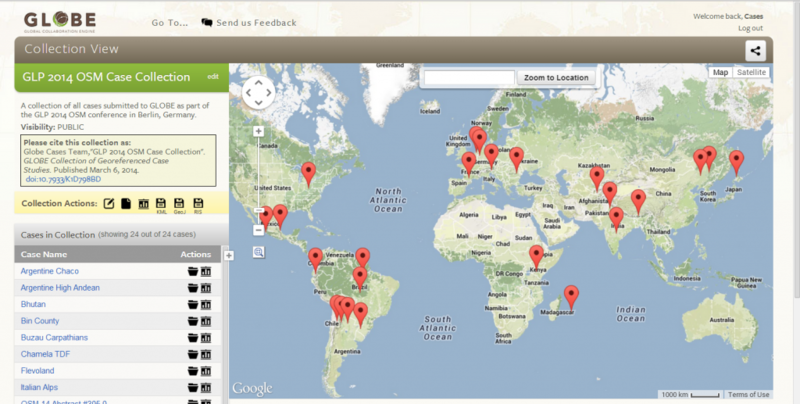 GLOBE: Global Collaboration Engine - First 24 cases for GLP OSM Now in GLOBE! Check them out! Home Uncategorized First 24 cases for GLP OSM Now in GLOBE! Check them out! First 24 cases for GLP OSM Now in GLOBE! Check them out! Published on 2014/03/12,	by Jared Margulies in Uncategorized. Thank you to all case study researchers who have already entered their case study. If you received an email from GLOBE about your case study abstract, please do the same and publish your case. Everyone who submits their case before Monday, March 17th will have their case study presentation promoted on our big GLOBE screen at the conference! One of the great features of GLOBE is that you can publish your case studies online with a permanent DOI link. Increase the visibility of your case study on GLOBE: publish your case study in GLOBE today!